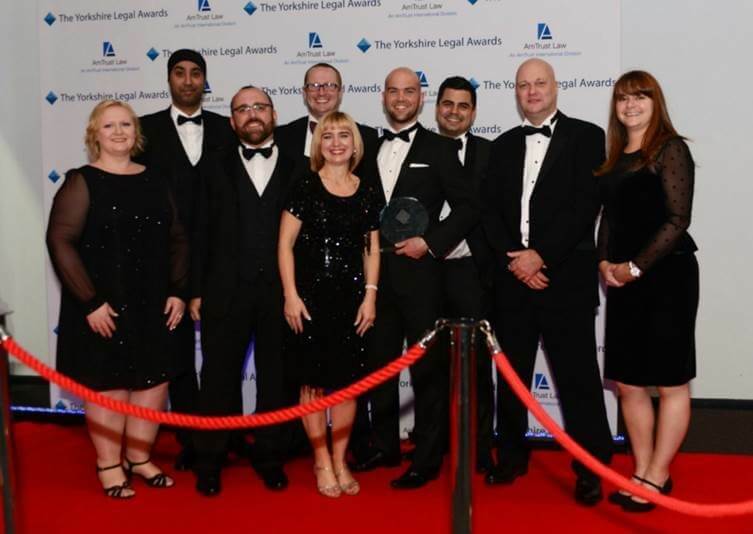 Leading Barnsley law firm MKB Solicitors LLP has won the prestigious Law Firm of the Year (1 ’10 Partners) award at the annual Yorkshire Legal Awards held at New Dock Hall, Royal Armouries in Leeds. In one of the most competitive categories of the night, MKB beat off competition from law firms across the entire Yorkshire region to get the vote from a respected panel of judges. The judges recognised MKB’s notable impact within the legal market over the past 12 months in the face of a difficult industry climate, the quality of their legal service, and a significant contribution to the legal community and the wider local community, particularly in Barnsley. MKB’s success follows on from their achievement at the Yorkshire Legal Awards in 2014 when former Managing Partner, David Wright, won the Yorkshire Lawyer of the Year award. MKB Solicitors LLP are a full service law firm based exclusively in Barnsley. With 60 years’ presence in the town, MKB are a trusted source of legal advice to the community on business and personal matters.